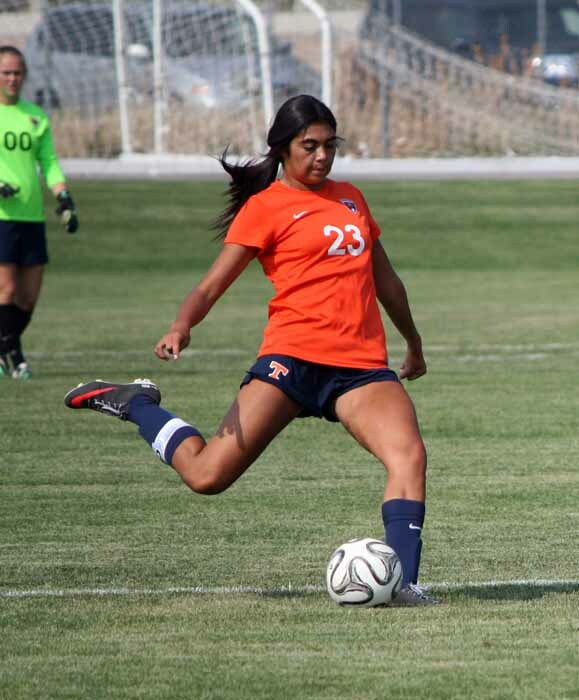 Tryouts for the 2014 Timpview High girls soccer team brought a surprise for defender Weslee Baird. After two years spent working to earn a coveted spot on the Thunderbird varsity, the junior was greeted with the news of her placement on the junior varsity for yet one more season. Eric Brady was a first-year head coach for the Thunderbirds, and he had not seen enough from Baird to warrant her inclusion on his varsity roster. Brady knew how hard it was for Baird to be out there with the junior varsity team. He also recognized that he might have missed something in the initial evaluation. “Weslee was heartbroken, disappointed,” Brady said. “She got caught in the coaching change. I did not know her and there was nothing that really stood out, there was no passion or aggressiveness in the tryouts. Maybe, I probably missed…had I seen her more, a month or two in club, I could have seen what she could do. Then the injury bug bit the Thunderbirds, giving Baird a chance, and she was determined to make it count. Brady’s memories of those first few games, and what followed them, is very much the same as Baird’s. 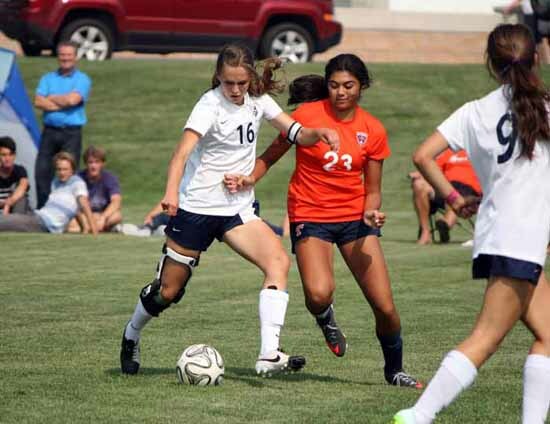 Now Baird is a senior and an established varsity star, the leader of a Timpview back line that has allowed just 14 goals while the team has compiled a 13-1-1 record as it heads into the postseason. Brady loves Baird’s story of perseverance and ultimate success on the pitch. He sees it as proof of what he loves most about coaching, it’s place as a vehicle for teaching values. “Again, maybe some of that (her being sent down to JV) was me, but now that I’ve been able to have a whole year behind it, it was good, because she was lackadaisical in her play, and she didn’t appreciate out there,” Brady said. “From there, she was coachable the whole year. She did everything that was asked and more, she had such heart and has been amazing ever since. “This year, that’s potentially a first-team, second-team all-state player. One of my biggest quotes with these girls is, ‘Failure is fertilizer.’ Everyone’s going to fail. How are you going to deal with that? She’s embodied everything in how she’s dealing with that. That I love. Baird also looks back on the totality of the experience and appreciates it for the learning opportunity it became.